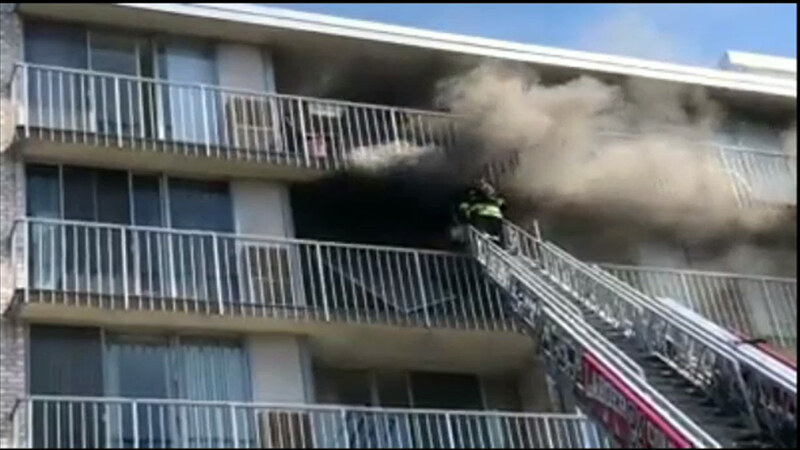 CHERRY HILL, N.J. (WPVI) -- Firefighters battled a 3-alarm condo blaze in Cherry Hill Thursday afternoon. The fire started before 3 p.m. at the Playa Del Sol Condos in the 400 block of Cooper Landing Road. One witness was leaving his doctor's office when he saw heavy smoke billowing from the 5th floor. He was able to direct fire crews when they arrived at the scene. It took crews 45 minutes to get the blaze under control. They say the owner was not inside the unit that caught fire. There were no reports of injuries, but a woman in the unit above was taken to the hospital for evaluation. The fire did not spread beyond that unit. The fire marshal is working to determine the cause of the blaze.